Our MacroBar Variety Pack is a great way to enjoy all of our top-selling flavors. Our variety pack provides the ultimate introduction to MacroBars. Each tray contains 12 of our top-selling flavors: Peanut Butter Chocolate Chip, Coconut + Almond Butter + Chocolate Chips, Granola + Coconut, Sunflower Butter + Chocolate, Banana + Almond Butter, Apple Cinnamon, Peanut Butter, Blueberry + Cashew Butter, Cherries + Berries, Cashew Caramel, Dark Chocolate + Almonds, and Mocha Chocolate Chip. I purchased the variety pack because I fell in love with the peanut butter choc bar! These bars taste great without even knowing your are snacking responsibly! I could not find all of these varieties at my local store so purchasing from this site is great. I am excited to get through all of the flavors and I am having my staff try them too! I'm giving a 4 rating at this time for the fact that I have not tried all of the bars just yet to give them a 5. I'm a big fan of eating healthy & clean and this is the best bar out there by far.Do your body a favor (and a flavor), get some of these great bars! I am a huge fan of these bars and wanted to try all the flavors. This is a great pack and a good deal. I will be doing the subscribe option for sure! I have been a huge fan of the chocolate chip peanut butter for a long time! Being vegan can be hard to find a filling, balanced and tasty bar but Go Macro never disappoints. Due to my area, we have only a handful of flavors which prompted me to order the variety pack. I am about halfway through it and I have thoroughly enjoyed every new flavor I have tried. I am a Go Macro fan FOR LIFE!!!! I can never go wrong with my gomacro bars.I live in the middle of no where and something go into my box before I got home and enjoyed them before i did. I called GOMACRO and they sent me a new package in a timely matter! So whatever little critter got my last ones got to enjoy and this batch, i got to enjoy! I 1000% recommend these bars ! 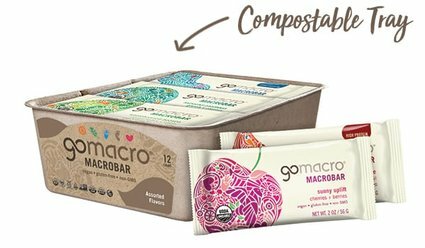 We first discovered GoMacro bars while traveling the back roads of Wisconsin! When we actually first tasted them, we discovered we love them. There hasn't been a flavor we haven't liked. I love the variety pack, because you don't get bored with the same flavor. They give you lasting energy and leave your belly full! Keep up the great work and can't wait to try new flavors! I Ordered the Sampler Pack to check out a variety of flavors and see which I might wish to reorder. They are all delicious!! I'll be ordering more for sure!!! Great variety of snack & protein bars that actually taste good. I’ve had at least 12 different flavors and haven’t had a bad one yet. I definitely recommend. Absolutely love these bars! I ordered the assorted pack and there was not a flavor I do did not like! Love the chewy texture! I also found thesr bars at Sprouts over the weekend, so thrilled! Defintely my favorite healthy bars! I want this pack so badly, i’m asking for it for a birthday gift. They sell these at my university and I have been eating them for a year now.... and all I can say is these are absolutely stellar. I’m obsessed with the Banana Almond Butter flavor. But I haven’t been disappointed by one yet! They only have select flavors here, so I really can’t wait to try the other flavors! I love these bars. They are my new go to favorite! The flavors and textures are satisfying. The are macro so I know I am getting the right balance of protein, fat, and carb. Finally, a bar that I enjoy and feel good about eating. All the flavors are delicious. My daughter loves them too. It will be a staple in our kitchen. Delicious! I'm so glad that I ordered them! I love how chewy they feel and how healthful they taste! I love the sampler pack since I can't decide which is my favorite flavor. Plus they're larger than most other energy bars at the same price! Soooo good! Not much to say but awesome! I LOVE Macrobars! I'm so glad I found them. I've enjoyed most of the bars in this sampler pack and am happy I discovered new flavors! Over all the bars were pretty good. Not crazy about the texture. I'd like something "crunchier" . I like the organic thing. Gluten is not a factor for me. Kinda hard to find in the rural Heartland. I live just outside of Richland Center, not a real small town by our standards, but cannot find them here. How about putting them in Kwik Trip? We also have Kelly's Coffee House here, and I betcha they would carry them. So anyway the Drftless Areas "Hidden (literally) Treasure." These are soooooo good and good for you! I'm not a big fan of peanut butter, but I LOVE ALL of the Sampler Pack macrobars. I was pleasantly surprised by their flavorful mixes. Who knew I'd like sunflower or cashew butter?? Love Go Macro bars!!! I have been buying them for years!!! Thank you Go Macro!!! 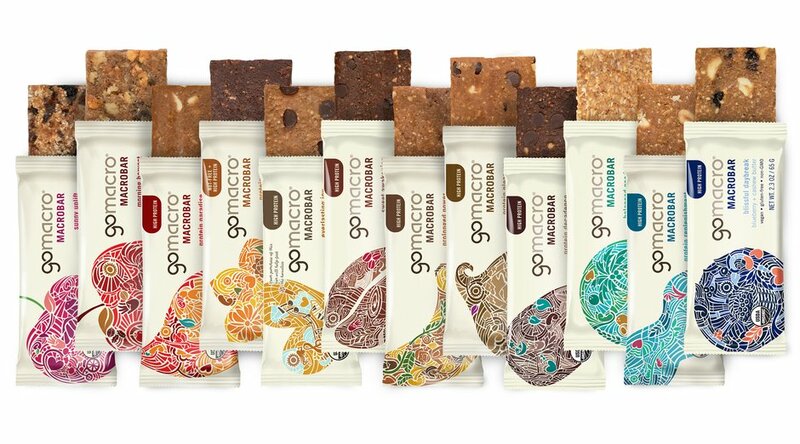 I've been eating gomacro bars for a couple of years now and love them for their taste and ingredients. They are quite filling and due to being vegan and gluten free, I can happily share them with any of my friends. They have "saved my life" a few times while I was traveling somewhere and couldn't find a decent or healthy option for food; these tide me over until my next meal. I've only been able to try a few flavors due to the inventory of local stores, so I was super excited to try this sampler pack. I'm half way through it now and love all the flavors (being partial to apples, morning harvest was a particular favorite so far). Thank you for making these delicious bars! My only regret is that I didn’t buy 2! Loved all of the flavors / best way to pick your favs & the price was right! Will defiantly be placing another order!! Delicious, and I love that they come in the variety packs! I mainly eat "nutritious" bars for lunch. I decided I needed to get away from the processed bars. I googled more healthy alternatives and discovered Macrobar. I ordered a sampler pack. The bars are delicious! I recently ordered a second sampler pack! Really surprised with how moist and tasty they were. For me especially since I thought I would Only like the peanut butter chocolate chip bar - but surprisingly my favorite is the apple walnut. I've tried almost all the flavors and there hasn't been One that I've not thoroughly enjoyed. Thank you. Love them, all the flavors are great. I think I will keep ordering the variety pack, can't pick a favorite. Low sugar, great flavor....great to travel with or to have in desk drawer. All the flavors are sooo good! Finally a snack bar / protein bar that is tasty (and all plant based / clean ingredients). I like the variety pack to mix it up. Was so happy to find something sweet that is gluten free. The cherries+berries was definitely my favorite. I will order them again. The best protein bar on the market!!!! I usually don’t like the many different kind that are out there... but these are perfectly chewy, perfectly sweetened and perfect taste! Fills you enough to hold you over with all NATURAL ingredients! Love the variety, taste, texture is good as well. Favorite so far is mixed berry, love the cherries. Banana almond butter was great too. I loved trying all the different flavors. I preferred the bars with high protein because they kept me full for a good workout or a work shift. All of the bars were delicious! If you are new to GoMacro, this is a great sampler to try to figure out a flavor you like. Because of this, I found a new love for the Coconut Almond Butter bar! Worth the money! These are by far the best vegan nutritious bars on the market. They are chewy, tasty, perfectly sweetened, and absolutely amazing. My whole family are now hooked on them. IT APPEARS YOU HAVE 14 VARIETIES OF MACRO BAR PERHAPS NOT INCLUDING NEW FLAVORS (NOT SURE) THE SAMPLE PACK SHOWS HAVING 12 WHAT WOULD I ORDER TO SAMPLE AT LEAST ONE OF EVERY PRODUCT?